You are here: Products Search » Industry News » Market » The Total Income of Hikvision in 2016 Has Reached 32 Billion——What Efforts to Make in order to Become the Industry No.1? The Total Income of Hikvision in 2016 Has Reached 32 Billion——What Efforts to Make in order to Become the Industry No.1? Yesterday, Hikvision has launched their Fiscal Year Financial Preview which provides us a overview of the implementation of operational and financial results of last year. 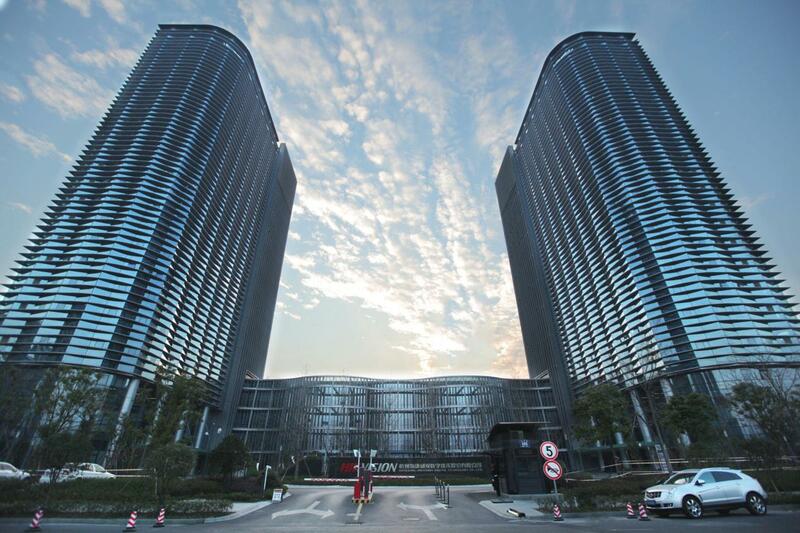 In 2016, the total sales revenue of Hikvision has reached approx RMB 32 billion, indicating a year-on-year growth of 26.69%. Total Operating Profit was nearly RMB 6.8 billion which witnessed a growth of 24.84% compared to year 2015. 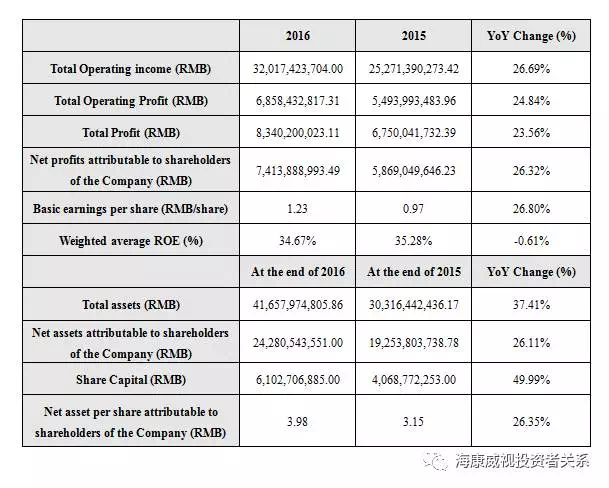 Meanwhile, the total profit totaled RMB 8.3 billion and net profits attributable to shareholders of the company amounted about RMB 7.4 billion, indicating a year-on-year growth of 23.56% and 26.32% separately. Complete the acquisition with the British alarm company SHL. Listed as "2016 China's Outstanding Value Listed Enterprises Top 50 ". 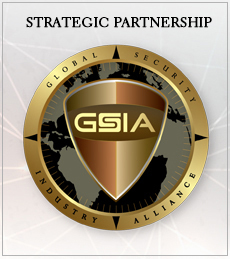 The first place of "Global Security Industry Top 50". Topped the list at global video surveillance market for five consecutive years. Ranks top in the MOT Challenge Evaluation. Enter top 20 among "2016 China's Top 100 Electronic Information Enterprises", ranking up 11. The champion of electronic and electronic components sub-industry chart of "2016 Fortune China Top 500 Enterprises". The first place of mainland China region storage shipments at first quarter season. The champion of national level "Enterprises of Observing Contract and Valuing Credit" list. Rank top at "2016 The First Three Quarters of the Computer Hardware Industry Market Value List". Rank top "The 3rd A-share Listed Companies Future Value Rank"
Rank top at electronics industry chart of "2016 China Brand Value List". Enter "2016 CCTV China Top Ten Listed Companies". Effected by the growth slow down of global economy, the development of security industry has entered a ice age under the influence of global environment. However, Hikvision has still achieved outstanding performance in 2016, especially in overseas market, civil security market and sub-industry solutions segment. At the same time, the great result of "AI " products and technology, as well as UAV profolio also take credits for the icing on the cake. Relying on the leading technology innovation capability, the comprehensive product research and development (“R&D”) system and capability in providing integrated solutions, as well as continuous exploration of both domestic and overseas markets and continuous efforts in optimizing the operating quality and efficiency, the Company has enhanced its profitability, continuing to grow steadily. Even if the data of Hikvision’s overseas security market is not detailed in the financial preview, it could be seen that its overseas business revenue growth as well as gross margin are still stabilized at 40% and 47.7 % separately, from the first half-year financial preview in 2016. Moreover, occupied the leading position at global security industry, Hikvision is expected to witness a continuous growth in overseas security market share and business revenue. For the civil security market, Hikvision's sub-brand EVIZE is taking the lead due to the increasingly rich segments, including home intelligent cameras, intelligent locks, sports cameras, sensor alarm equipment and wireless suits. The most innovative initiatives of Hikvison in 2016 is introducing the "AI " concept, as well as revolutionary applying artificial intelligence technology to security products, which promoting the security industry into a new era of intelligence. At the same time, Hikvision vigorously increases the input of the robot industry. For example, intelligent storage robot system, intelligent sorting robots, intelligent parking robots and unmanned aerial vehicles are launched and available at the market. Therefore, we can look forward to further development in the field of artificial intelligence, machine vision technology and the product in Hikvision's future annual report.